A. Jaffe designed this sparkling diamond band to beautifully complement your engagement ring for that special trip down the aisle or to stack with other rings to amp up the sparkle and shine. 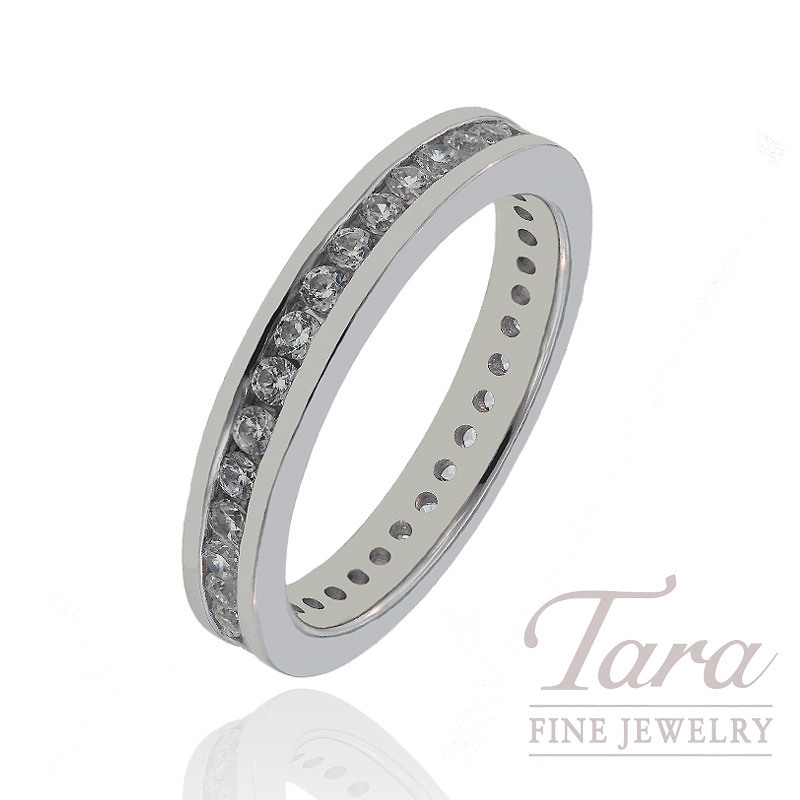 You'll love this diamond eternity band from the A. Jaffe stackable collection! Featuring .72 CT TW in sparkling diamonds, this A. Jaffe band is available to you in rich 14K or 18K white or yellow gold, or even in platinum. Make this gorgeous band yours today! Call Tara Fine Jewelry Company for pricing and availability or come by the fabulous showroom to see the A. Jaffe collection and incredible designs from jewelry artisans from around the globe. Home to extraordinary fine jewelry and luxury Swiss watches by Rolex, Omega and Breitling, Tara Fine Jewelry Company is Atlanta's favorite destination for the finest selection, service and quality.